Stylish arched estate gates will add security. 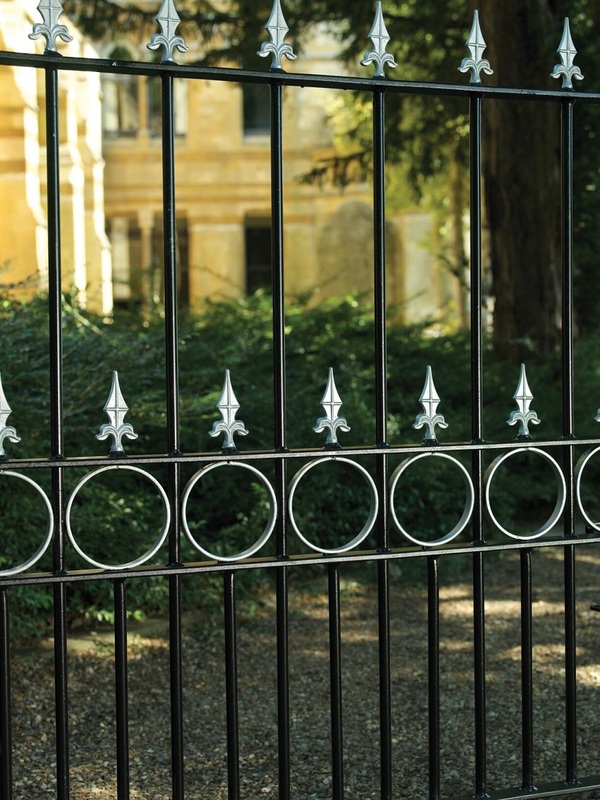 Constructed in a traditional wrought iron style. 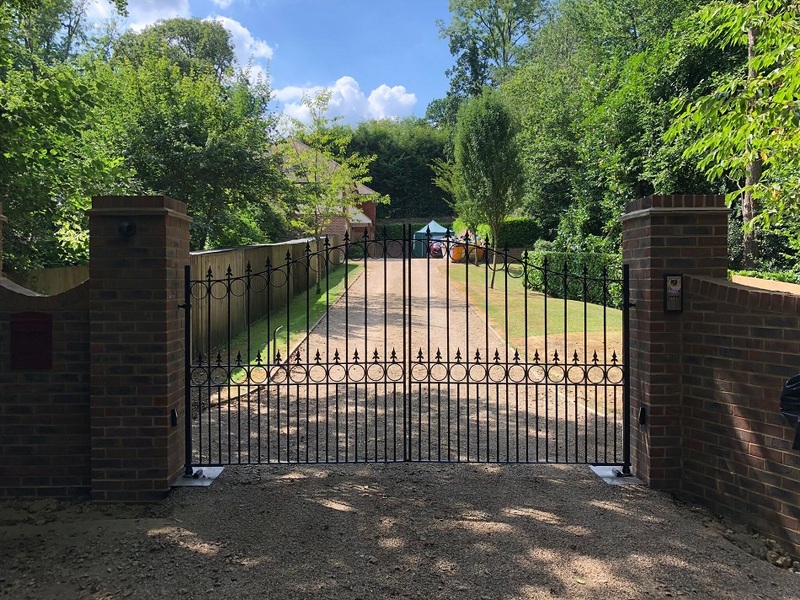 Manufactured in the UK in a variety of sizes the Royal Talisman arched wrought iron style estate gates offer exceptional levels of aesthetic appeal at a competitive price. 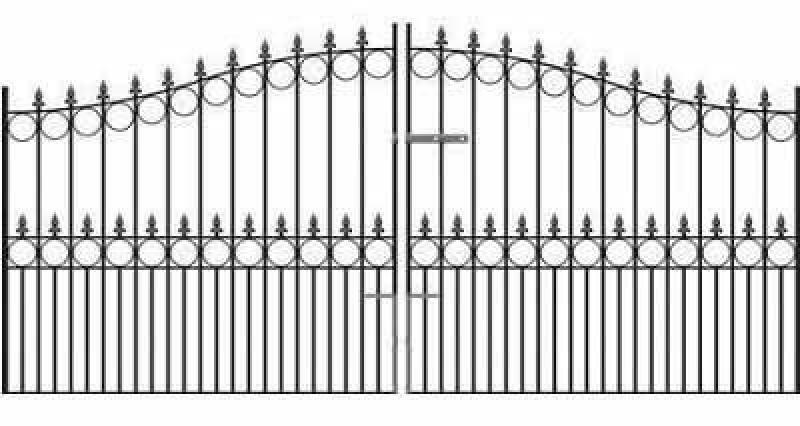 Featuring a timeless arch top and fleur de lys finials these heavy duty double metal gates will keep your home safe whilst looking great. Heavy duty solid steel construction that features 40mm x 30mm hanging stiles, 40mm x 20mm closing stiles, 40mm x 10mm cross rails and 16mm solid metal infill bars. 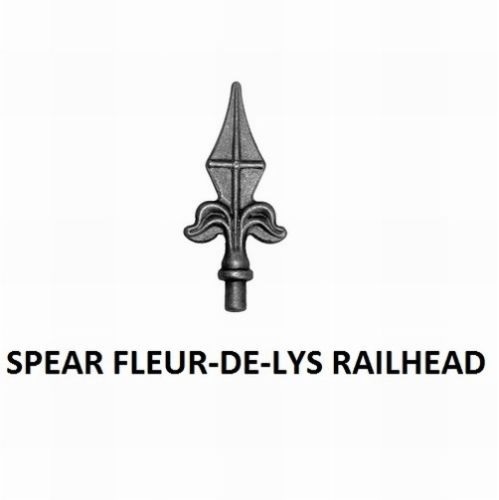 Fleur de lys finials and circular scrolls add a charming appearance. 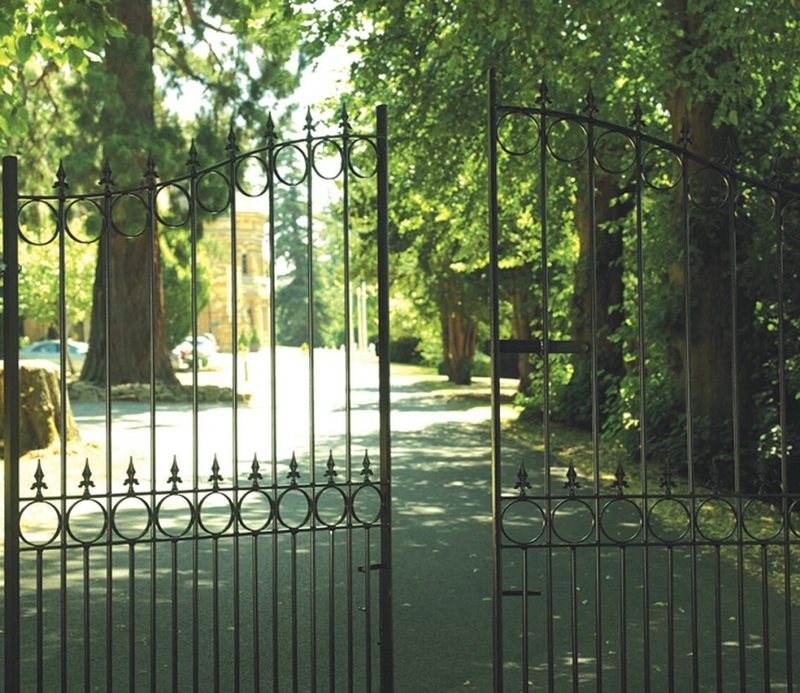 Wrought iron style estate gates are suitable for automation (some modifications may be required). 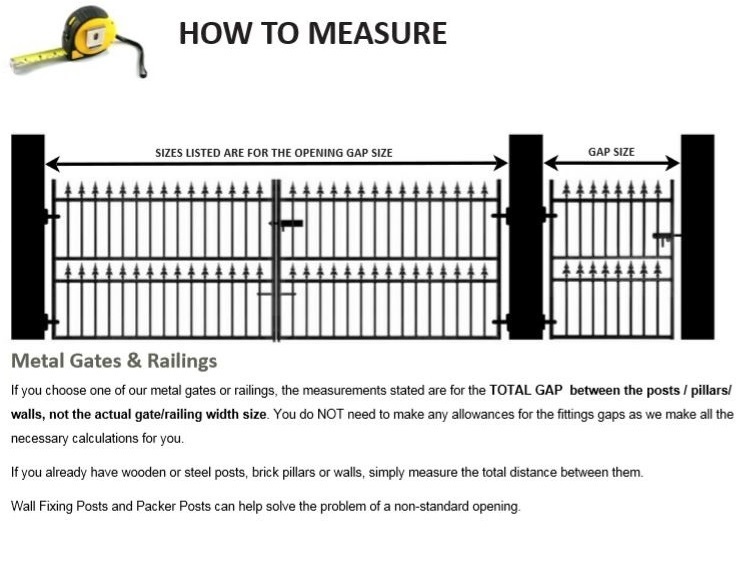 Don`t know what size gates you need to order? Give us a call on 0844 804 5577 to discuss your requirements or you may find our measuring guide useful. 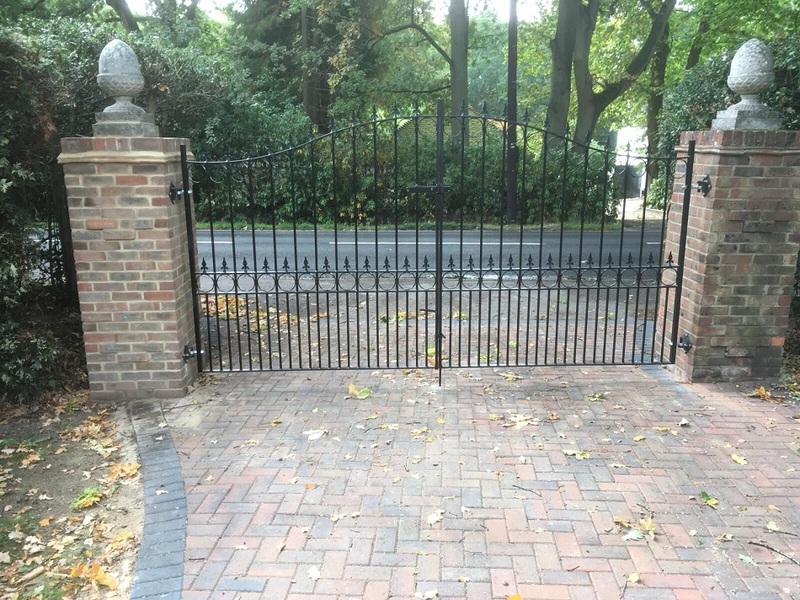 If you would like to upgrade the specification of the Royal Talisman arched estate gates or need metal posts to complete your installation we are pleased to be able to offer you the following optional extras. To find out more details and additional costs of the above options please get in touch with us by phone (0844 804 5577) or email (sales@gardengatesdirect.co.uk) and we will be on hand to discuss the options available to you.